I've been here before, sitting under a tin roof, dogs barking. It's third-world hot. Deva ju. A local is explaining which world politics have made his country so poor and mine so rich. In Fredy Moreno's case, he says Colombian researchers forfeit intellectual property under the free trade agreement with the US. His work as a biologist would likely benefit a foreign power rather than his own people. So he retired from the field to make a difference elsewhere. 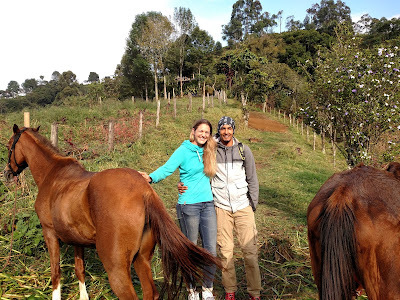 In October 2015 Fredy and wife Amélie founded Omoki farm and hostal. Upon their arrival the other neighbors were locked in a road-building dispute. Without business initiatives or cooperation, hordes of tourists were literally passing them by, trekking from touristy Salento to the touristy coffee farms that have marketing schemes and non-local owners. According to Fredy, a Salento native, 50% of Salento's tourism infrastructure—hostals, bars, guide companies—are owned by foreigners and 40% by non-local Colombians who expropriate their earnings and pay little taxes. Only 10% is owned by Salentinos. Salento's bustling tourism barely benefits local communities, who generally live happy lives on fertile lands, yet are impoverished by western standards. Many are displaced as foreign investors drive up property values. 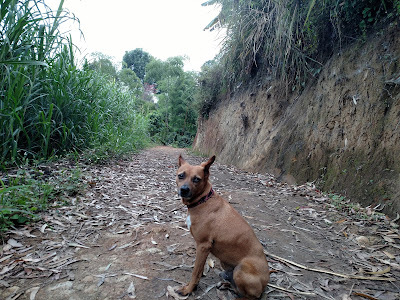 Road dug by community, guarded by Neron the Fearless. Therefore, resisting these trends requires a strong community and cooperation, as Fredy and Amélie have shown. They bring visitors via Omoki Eco Hostal, while neighbors offer tours, hikes and meals. 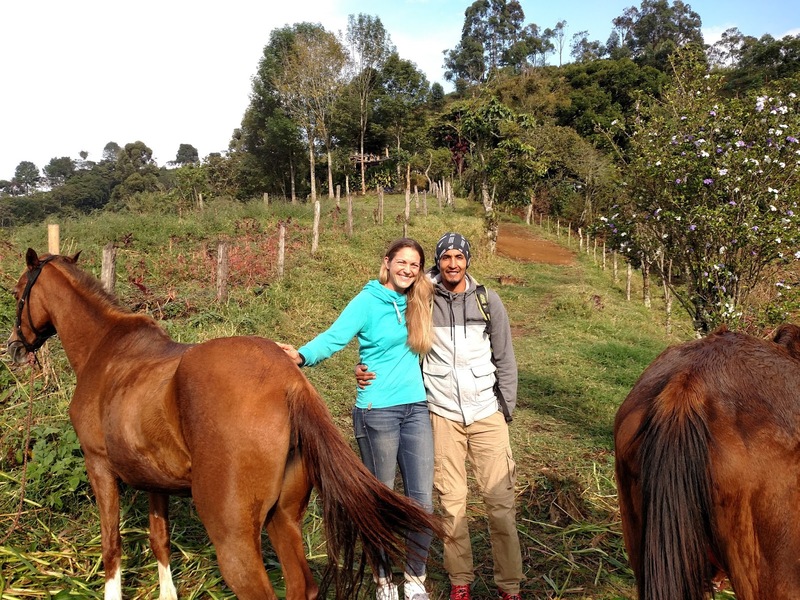 Everyone profits from the increased tourism, as well as from the road, the Camino de Oro, ¨which is now underway since Fredy and Amélie helped resolve the dispute. Ultimately it will lead around their moutain village, down to the former gold minesite along the Navarro River, now a swimming and camping site. Lunch with Edilma, a former restauranteer who cooks a local, delicious meal. Hike with Aquilino, to the peak above the village, where he shares his knowledge of the local history and ecology. 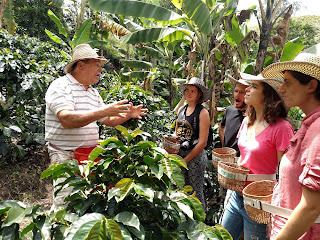 Coffee Tour with Jaime. Unlike the touristy coffee tour farms, their owners from major cities, Jamie is born and raised here on Finca Hamburgo. His crops aren't for demonstration purposes, but for production; he doesn't hire a tourism major from the city, but runs the tours himself. He loves his plants and his passion really enhances the tour. He encourages participation through the whole production process over several hours (unlike the 40 minute tours of the others), from harvest to shelling, to roasting and of course, drinking. 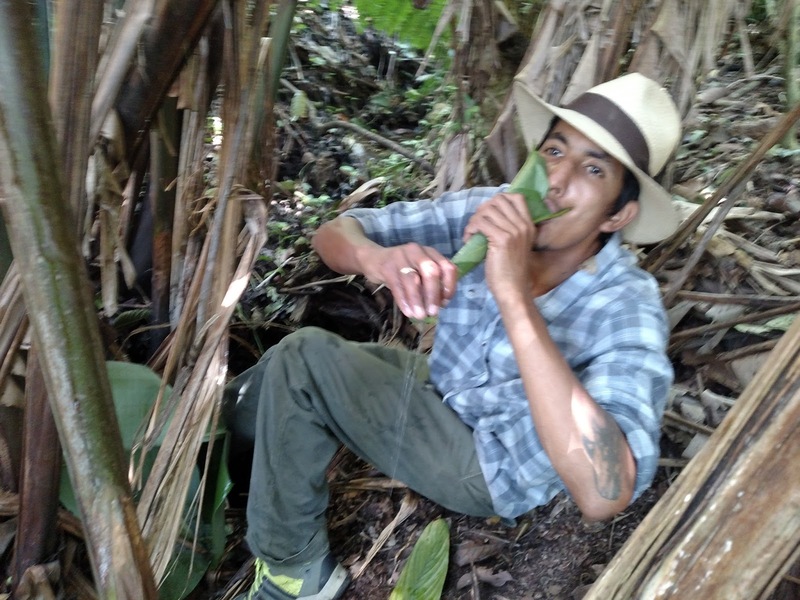 Jaime also covers in depth his organic and regenerative practices. 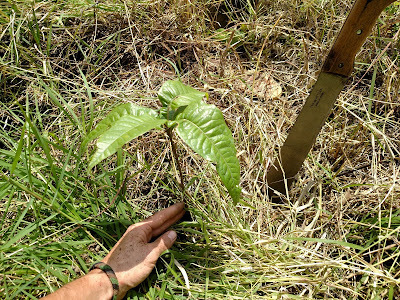 Companion planting - Jamie takes pride in the diversity of plants growing among the coffee plants. Gaumo is a legume tree with large edible pods, that fixes nitrogen and mulches his fields. Lemon, platano and native Yarumo (see Trees of the Andes) help shade the coffee plants, as well as provide edible fruits. 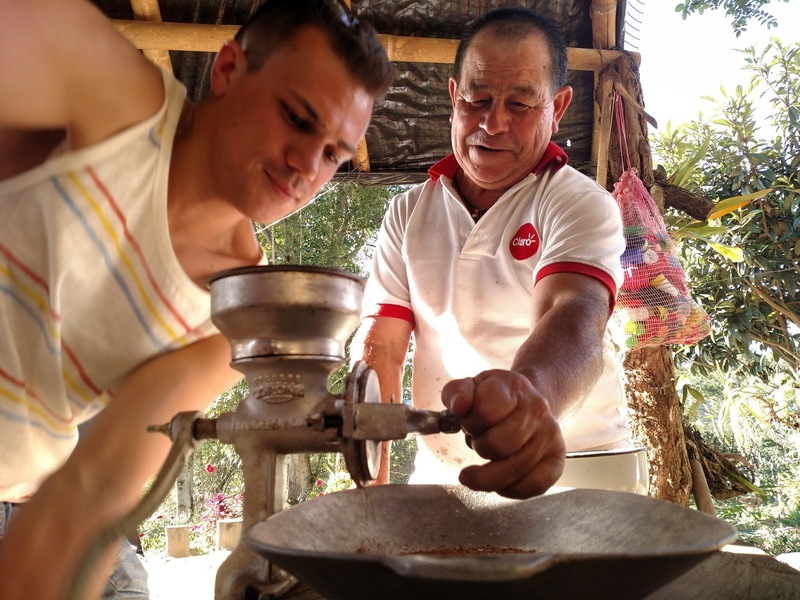 According to Jaime, the coffee beans gain flavor from these neighbors. Erosion control - Companion trees help block erosion with their root systems and leaf litter, as does a ground cover of clover. Building fertile soil also helps, as it absorbs surface water that would otherwise rush off and erode. Fertilizer - Aside from the organic matter and nitrogen fixation of the companion Guamo trees, Jaime also composts all organic byproducts of coffee production. His vermicompost (worm) system turns the pulps and shells of coffee beans into rich fertilizer, both a liquid for spraying and a solid for potting coffee seedlings. 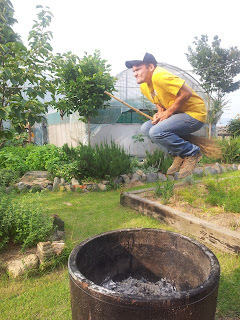 Pesticides - A natural concoction of garlic, pepper and other 'bitter' herbs applied via backpack sprayer repels plagues. 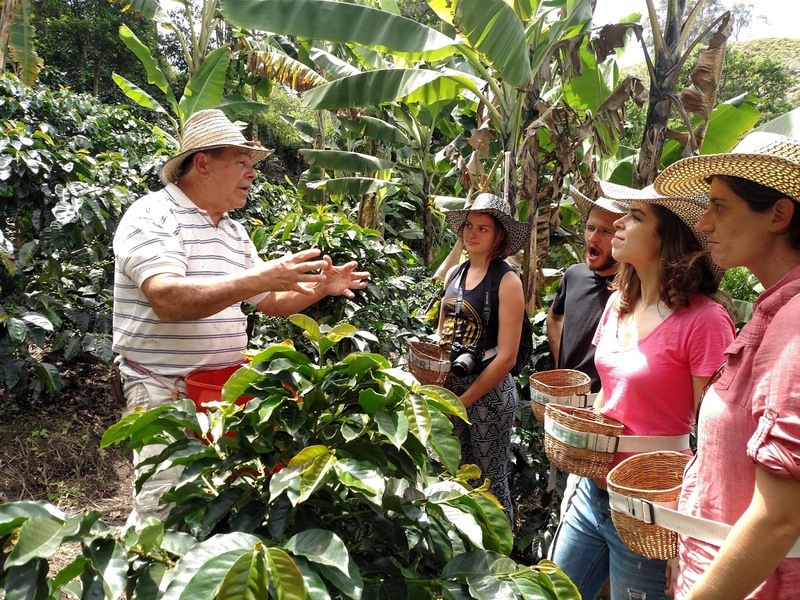 Jaime's organic traditions match a larger theme among the community: care for the local environment. Their futures depend on it, not only for fresh water and fertile soil, but for the natural beauty that draws visitors and generates income. 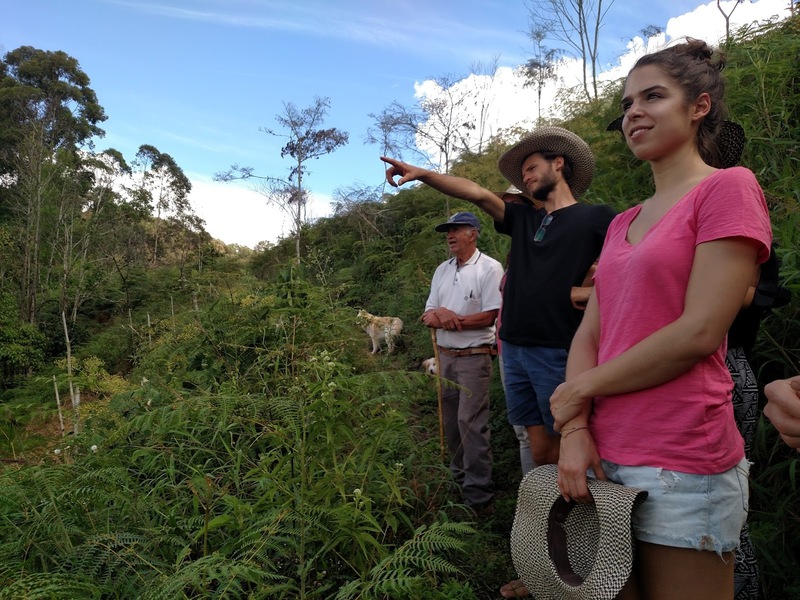 As biologist and president of the local water council, Fredy leads several initiatives including reforestation and protection of riparian zones (fencing out cattle). As former manager of a wildlife refuge in Cali, Amélie cares for rescued livestock, and also intends to develop a wildlife sanctuary on a nearby mountain property. 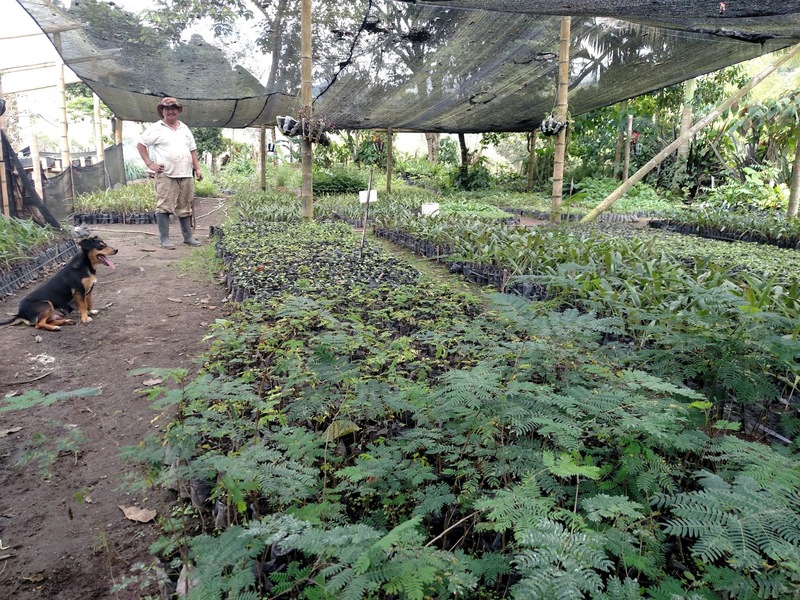 Local vivero, providing the power of forests to the community. 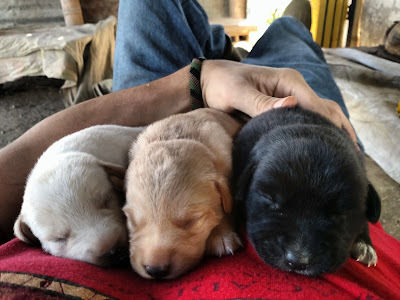 Being relied on as an animal shelter sometimes has its perks. 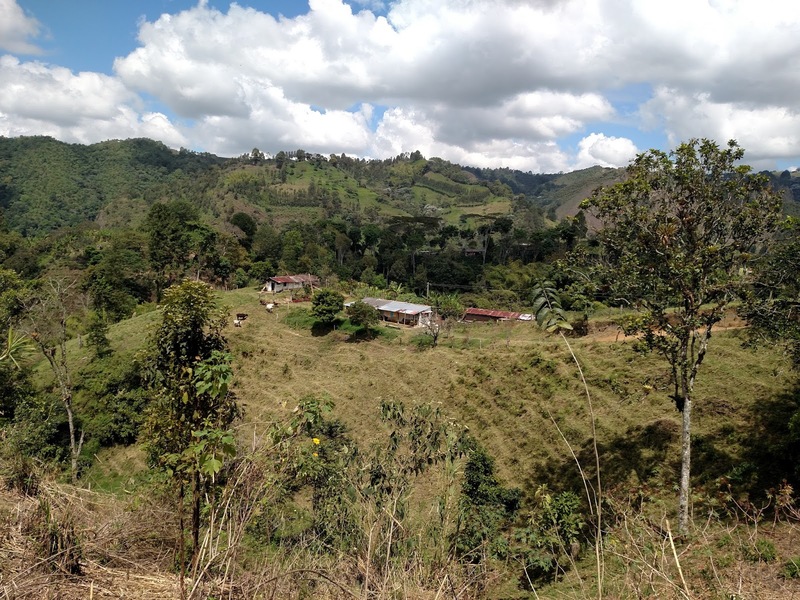 Future plans for Fredy, Amélie and the community include a market along the Salento road, where passing tourists can purchase local meals and organic produce. At just a year and a half the unfinished hostal has a steady stream of guests, and eager neighbors host regular tours. The Camino de Oro, which once brought gold to Spain, is now bringing livelihoods to the local community. as opposed to the 'dead water' of municipal supplies. guess which species I chose (see Trees of the Andes). What do you think, could Fredy and Amélie's model be replicated in communites of your own country? Each neighbor contributes some good or service—hostals bring guests, while farmers, artisans and guides feed and educate them—and each benefits from the stronger and more productive community. Comments are open to anyone below. To follow Fredy and Amélie's project, see the Omoki Facebook Page.